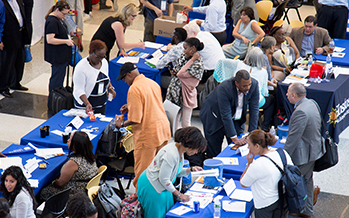 All in one room, all on one day, you will be able to navigate contract opportunities available from The City University of New York’s, its 24 campuses, the City University Construction Fund and numerous private sector businesses under contract to CUNY and CUCF. CUNY and CUCF strongly encourage the participation of Minority and Women-Owned Business Enterprises (MWBE) in its procurement programs. 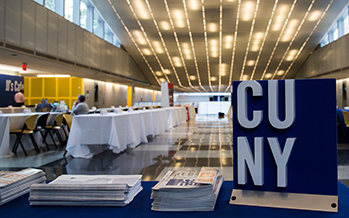 Obtaining New York State Certification as an MWBE can benefit qualified vendors by enhancing access to CUNY and CUCF’s procurement opportunities. If you’re a business that wants to do business with CUNY or CUCF, we encourage you to learn more about certification. There are also opportunities for New York State Certified Service-Disabled Veteran-Owned Businesses (SDVOBs). 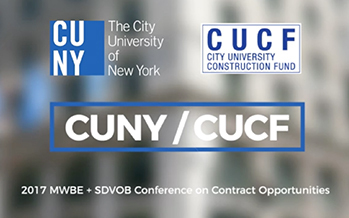 Learn more about how CUNY and CUCF is opening the door to SDVOBs through its procurement opportunities.